And here’s where things get dark. As in, very possibly too dark for a PG movie: Stefan does not kill Maleficent. Instead, he takes her out, drugs her drink, and cuts off her wings while she’s unconscious, so that he can bring them back to the humans as a trophy. If the obvious allegory here didn’t occur to you the moment you read the phrase “drugs her drink,” trust me, it will: The scene of a drugged Jolie waking up alone, feeling around her own tattered dress, and proceeding to scream and sob hysterically for about one full minute, drives the point home pretty unmistakably. Woerner and most fans seem more upset about it being stripped of its climax than her actions more closely resembling those of Amy Fisher than our beloved villain. 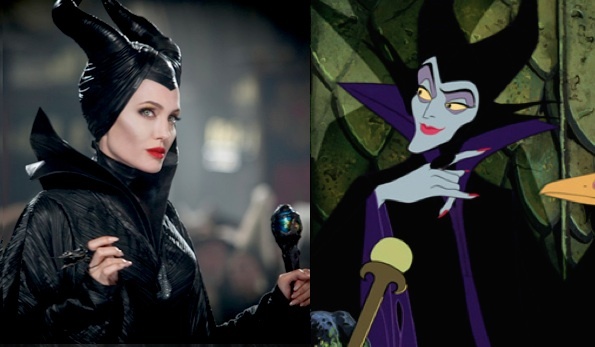 First Maleficent is stripped her of her wings, then stripped of her grand dragon transformation. What the ever-loving hell, Disney?